Until January 7, 1993, Ghana’s post-independence history was checkered at best. The country’s first three democratic regimes never completed their first terms in office, ending in military coups d’états and the suspension of the constitutions underpinning their existence. The military regimes that ruled the country were largely autocratic and characterized by human-rights breaches and disregard for the rule of law. After the 11-year military rule of the Provisional National Defense Council, Ghana again became a multiparty democracy on January 7, 1993, giving life to the 1992 Fourth Republican Constitution. Since then, the country has managed seven multiparty elections, with peaceful transfers of power in 2000, 2008, and 2016. To promote democratic ideals and the rule of law, the 1992 Constitution provides for the separation of judiciary, legislative, and executive powers and the establishment of independent constitutional bodies, such as the Commission on Human Rights and Administrative Justice, to check abuses of citizens’ rights. 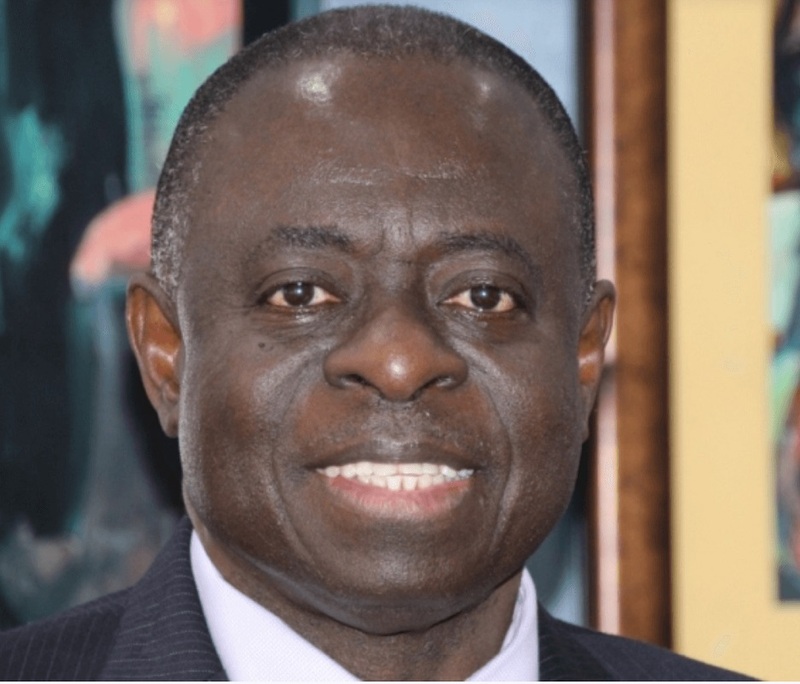 Ghana’s progress in ensuring the rule of law is reflected in its World Justice Project Rule of Law Index ranking as the secondbest performer (after South Africa) in sub-Saharan Africa, at No. 44 out of 113 countries worldwide (World Justice Project, 2016). 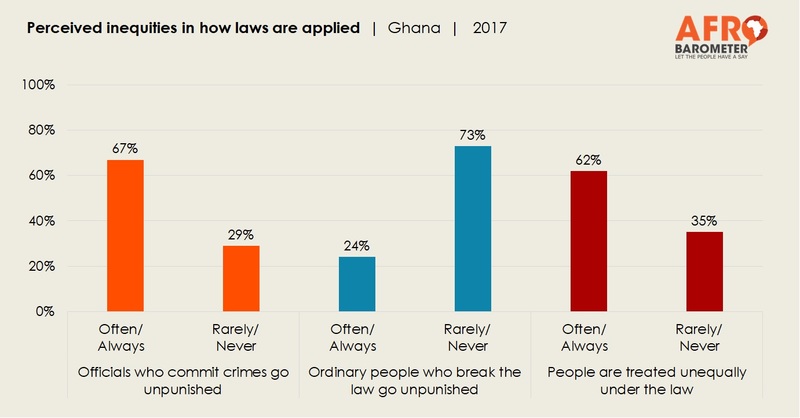 The 2017 Afrobarometer survey in Ghana suggests that citizens value and insist on the rule of law in the country but see important inequities in how the law is applied. For the full publication, click 'Download now' below. Click here for the press release.